RELIVE THE WONDER OF A CHILDHOOD FAVORITE THAT HAS BEEN CAPTURING THE HEARTS OF READERS FOR MORE THAN HALF A CENTURY. An instant bestseller when it was released in 1938, this Pulitzer Prize winner has been read and loved by school-age children across the nation for more than fifty years. In this classic story of the Baxter family and their wild, hard, and satisfying life in remote central Florida, Marjorie Kinnan Rawlings has written one of the great novels of our times. 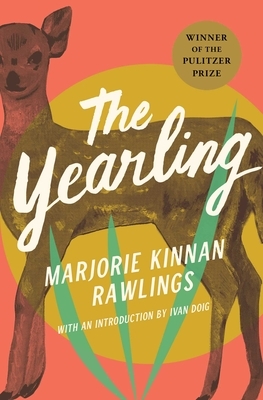 A rich and varied tale -- tender in its understanding of boyhood, crowded with the excitement of the backwoods hunt, with vivid descriptions of the primitive, beautiful hammock country, written with humor and earthy philosophy -- The Yearling is a novel for readers of all ages. Its glowing picture of a life refreshingly removed from modern patterns of living is universal in its revelation of simple courageous people and the beliefs they must live by. This edition, complete with a new introduction by author Ivan Doig, will be cherished for years to come and will make a welcome addition to any booklover's shelf. E. H. Walton The New York Times Never before has Mrs. Rawlings created a set of characters who are so close and real to the reader, whose intimate life one can share without the taint of unconscious patronage.